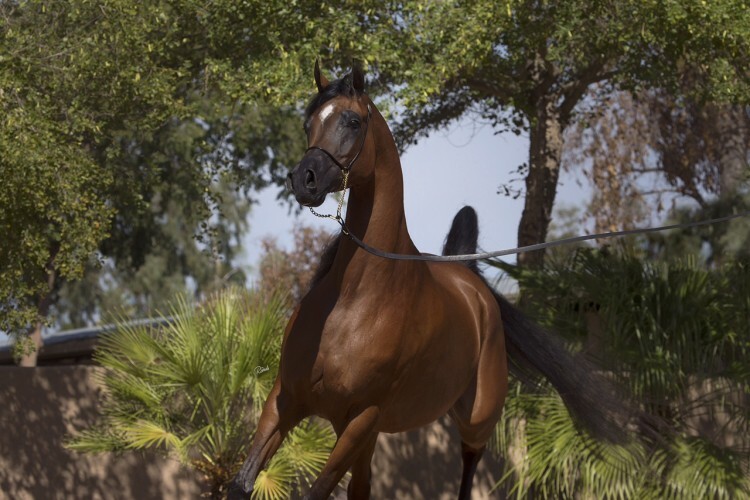 Our amazing Goddess of Da Vinci is an extraordinary daughter of World-Champion producing sire, Da Vinci FM, and the legendary mare National Champion Goddess of Marwan sired by World Champion *Marwan Al Shaqab. This breath-taking beauty combines bold charisma with exceptional grace and impressive stature. 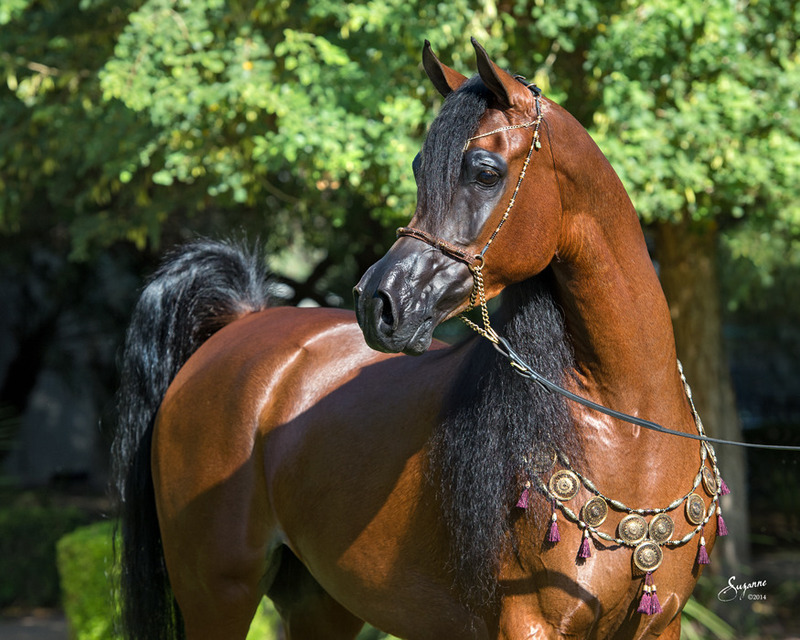 Recently crowned the 2015 US National Champion Mare in the AAOTH division, our Goddess is a queen. This magnificent mare was Reserve National Champion mare as a yearling as well as the 2011 Unanimous Scottsdale Grand Champion Junior Filly. In 2013, Goddess was named Scottsdale Rs Senior Champion Mare at the Scottsdale Arabian Horse Show. Her progeny are equally successful and exquisite. Basilio CS a 2013 colt from JJ Bellagio x Goddess of Da Vinci has already won as the 2014 Region 1 Champion Yearling Colt. Satin Doll GA is also a JJ Bellagio x Goddess of Da Vinci offspring and she is a lovely 2013 award winning Arabian chestnut filly. 2013 Scottsdale Reserve Senior Champion Mare Goddess of Da Vinci also won the 3 Year Old Mare class over RH Triana, a surprise but well deserved victory. This was her second Scottsdale championship; she was the Junior Champion Filly in 2011. Goddess of Davinci is also the 2011 U.S. Reserve National Champion Yearling Filly. 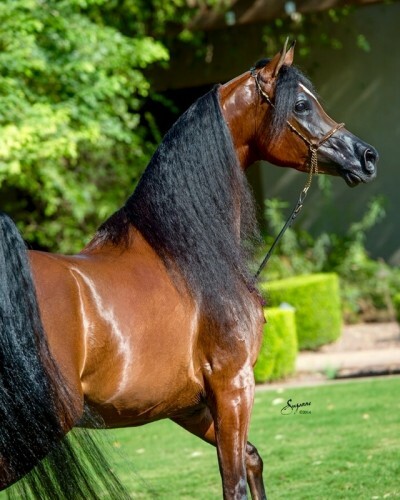 She is by 2013 Scottsdale International Silver Champion Stallion Da Vinci FM, also an international sire of champions and a former U.S. Reserve National Champion Stallion. Goddess of Da Vinci is out of U.S. National Champion Yearling Filly Goddess of Marwan, dam of 4 champions from 5 registered foals. 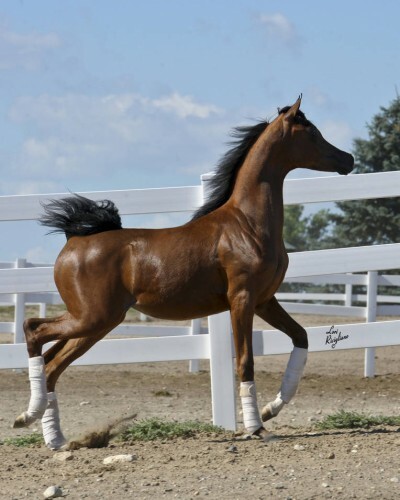 She is a daughter of World Champion Stallion *Marwan Al Shaqab. Goddess of Marwan’s dam is the superb broodmare Amety B, who has produced 10 champions, 6 of them National winners. 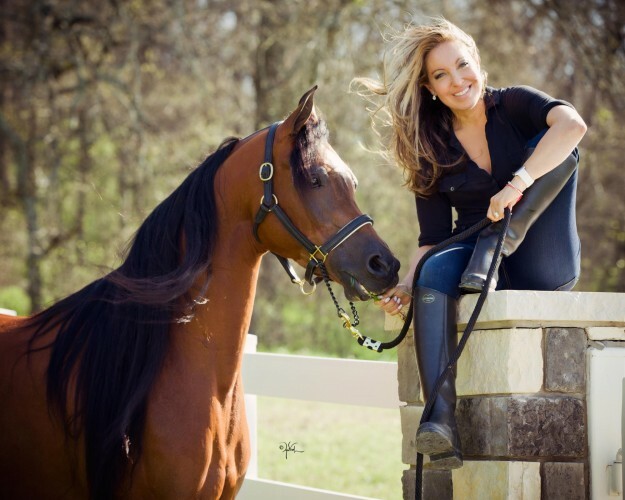 Amety B’s daughter Amelia B has also produced 10 champions, 6 of them National winners (one is 2013 Scottsdale Reserve Jr Champion Gelding Aramis LBA). Amety B is a daughter of U.S. National Champion Stallion Eternety+.